Does trying to manage all your social media accounts feel like running on a hamster wheel that never stops? You’re not alone. 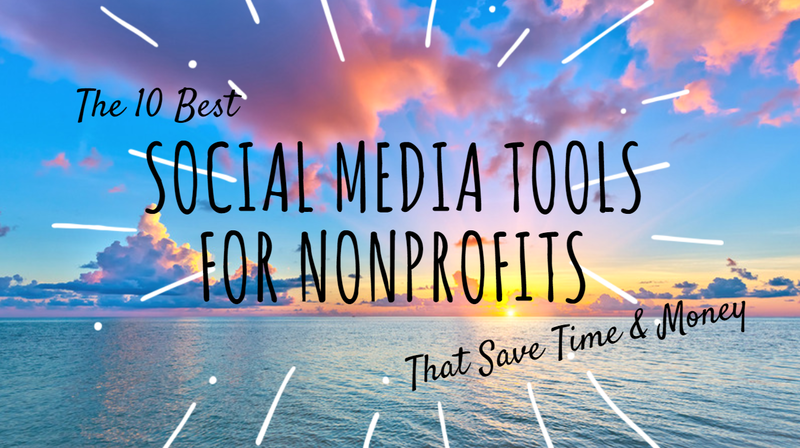 For over a decade, I’ve helped nonprofit professionals save time (and money) by setting up free and low-cost tools for social media managers that can easily manage and monitor all your accounts in one place. How Productivity Skyrockets: Imagine having one central location to manage all your social accounts — Twitter, Facebook, LinkedIn, etc. Instead of logging into each platform separately (and potentially going down a social media rabbit hole on each one), everything you need to manage is in one place, allowing you to save time and really focus. The Impact of Consistency: Using a tool to help you plan, create, and schedule content all in one place will allow you to maintain a consistent, cohesive presence across several platforms. What’s more is that a study found that organizations who consistently promote their brands experience a 23% increase in revenue. More Engagement: It can be difficult to remember which tweets have been replied to and if Facebook comments have been acknowledged. A social media management tool can help you track and allow you to respond quickly to all conversations that need your attention. It can also help you follow hashtags and topics to make sure your voice is heard where and when it needs to be. Measurement and Improvement: When you are able to look at your analytics and see which posts are performing best, what times tend to be most engaging for your audience, and what types of content resonates, you will be able to tweak and improve your overall social media strategy. If this all sounds good to you, I recommend using some tools to help you out. Unfortunately, there are thousands of social media management and scheduling tools available, and more are cropping up every day, so it can be hard to know which ones are right for your organization. My favorite feature is the ability to add the Hootsuite button into your browser, so you can schedule a tweet, Facebook post, or LinkedIn post with one click. 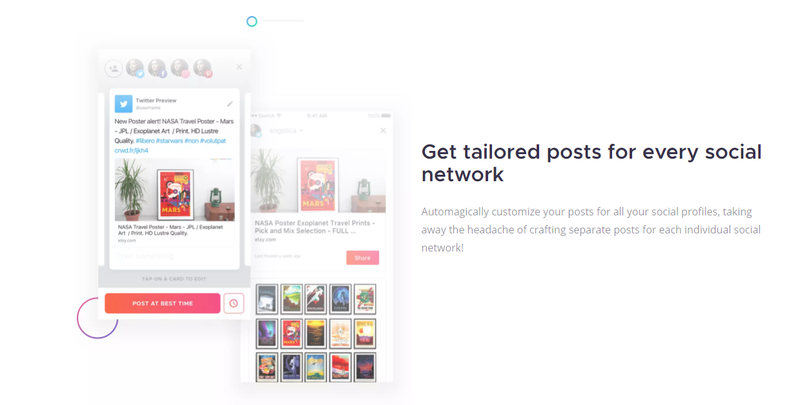 Key Features: Similar to Hootsuite, you can schedule posts on all the major social media networks, access analytics and reports, and use the browser extension to quickly and easily add content to your posting queue. My favorite feature is the ability to schedule retweets that look great and pull in the original photo. If you are like me, you go on Twitter during certain parts of the day, and you don’t want to flood the feed with tons of retweets. Buffer integrates with Twitter when you want to retweet someone, so you can schedule it to be spread throughout the day or week. Key Features: The most unique features are the ability to plan and schedule posts in a visual calendar view, which is useful to a visual person like me. You can also preview posts as they will actually appear on the platform. I especially love the Visual instagram Planner,where you can see your entire feed on desktop and mobile, which helps to create a consistent look and feel, as well as plan longer campaigns. Pricing: 14 day free trial. Individual accounts start at $24/month. I could not find specific information about nonprofit discounts on their website, but since their competitors all offer this perk, I suggest contacting them directly to see if you can get a discount. SocialOomph was originally brought to my attention by social media marketing expert John Haydon, based on it’s affordability and ease of use for the non-techie, a huge plus for many nonprofit social media managers. Key Features: If you primarily use Twitter for your nonprofit, SocialOomph has many features that can maximise your productivity and engagement, including: Ability to schedule unlimited tweets, track keywords, save and reuse drafts of posts, and check DMs on multiple accounts. I’ve been using Crowdfire for a few years now, mostly to occasionally cull through my Twitter followers to make sure I am not following old or outdated accounts. With over 19 million users, it is one of the most popular social media management platform. Key Features: Search other Twitter accounts to see who they follow, unfollow inactive accounts, search for relevant articles, automatically share your blog posts, and the best one - “automagically” customize each post for individual social networks. 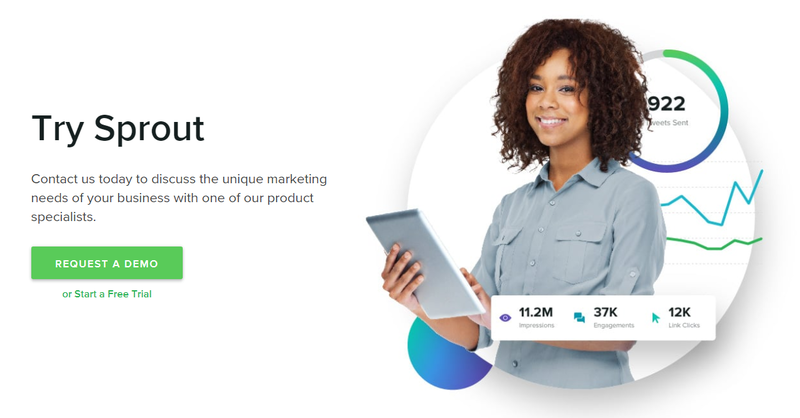 Key Features: One unique feature is the “Social Inbox” - one place to manage all the direct messages that your brand receives on social media. You can also schedule and publish posts across networks and across devices, and collaborate with team members on content planning. The higher-level plans even offer presentation-ready reports, so you can wow your Executive Director during the next performance review! Pricing: Sprout Social is the most expensive option on this list, with the most features. All plans include a free 30-day trial, but after that they start at $99/month. They do offer nonprofit pricing with qualifying 501(c)3 documentation. To learn more about their pricing structure for nonprofits, email sales@sproutsocial.com. Last but certainly not least, we have SmarterQueue. I first heard of SmarterQueue in a social media marketing Facebook group where I am a member. Several of the members were raving about it, and said that it was so much easier to use than other platforms, as well as having much more customization and integration with more apps and social networks. Whether you’re a social media expert or just getting started at your nonprofit, these 10 tools can help you save time and get better results. Let us know which tools you are using to manage and monitor social media at your nonprofit!